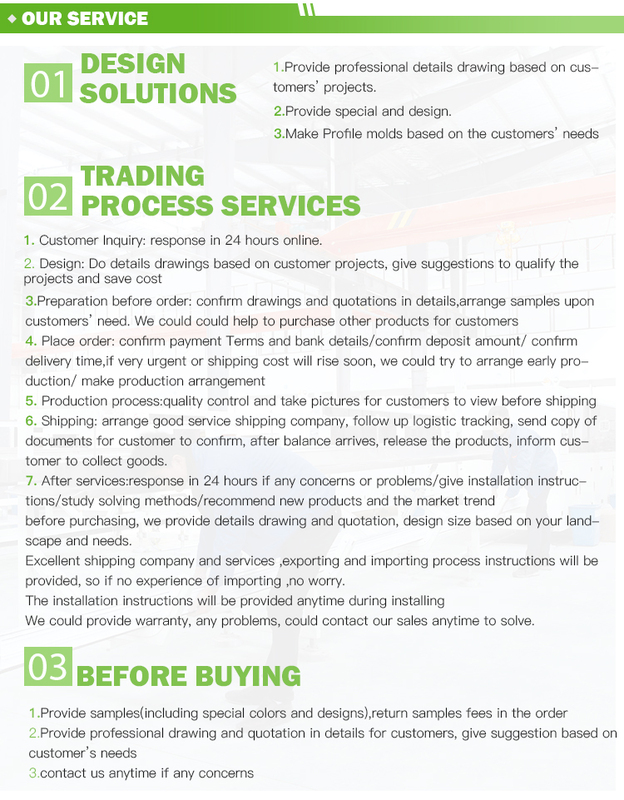 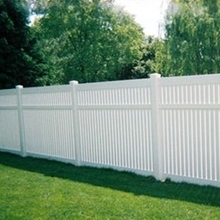 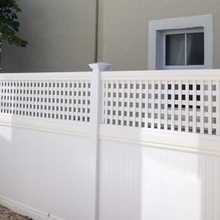 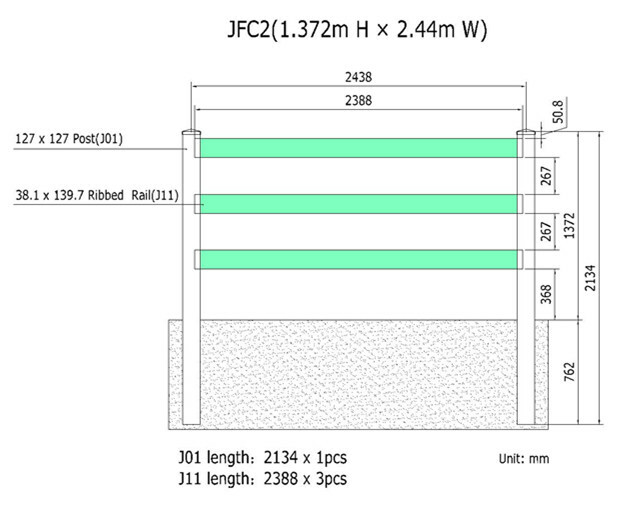 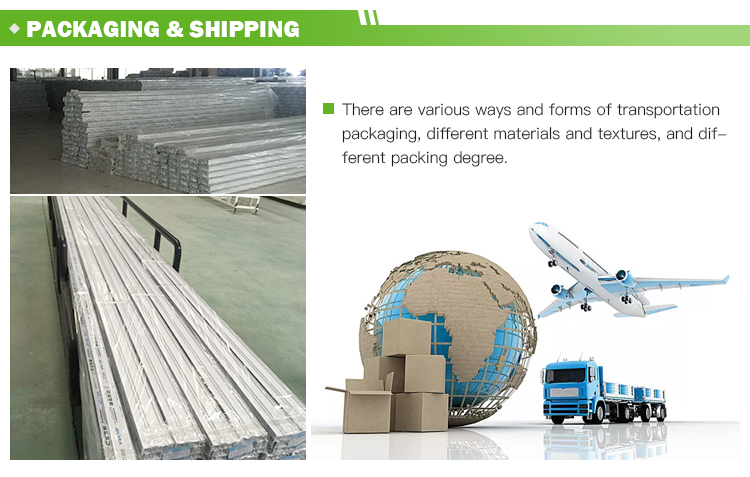 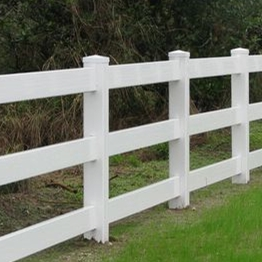 This is the description of white 4 rail vinyl horse fencing/it's a reasonable price. 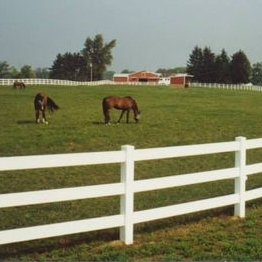 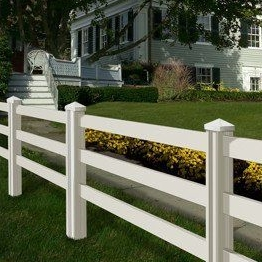 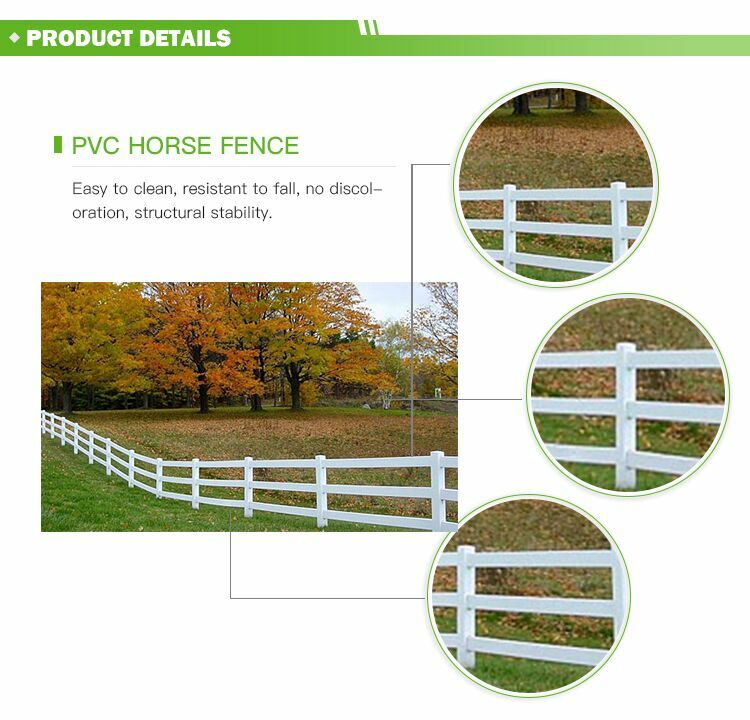 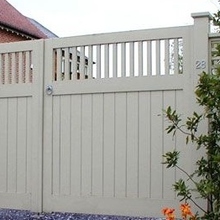 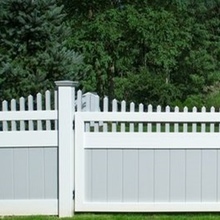 This kind of PVC horse fence is durable and elegant.The standard width is 2.44 m (8 foot), the standard height is 1.372m (4.5 foot) above the ground.We can choose the England Cap as its cap. 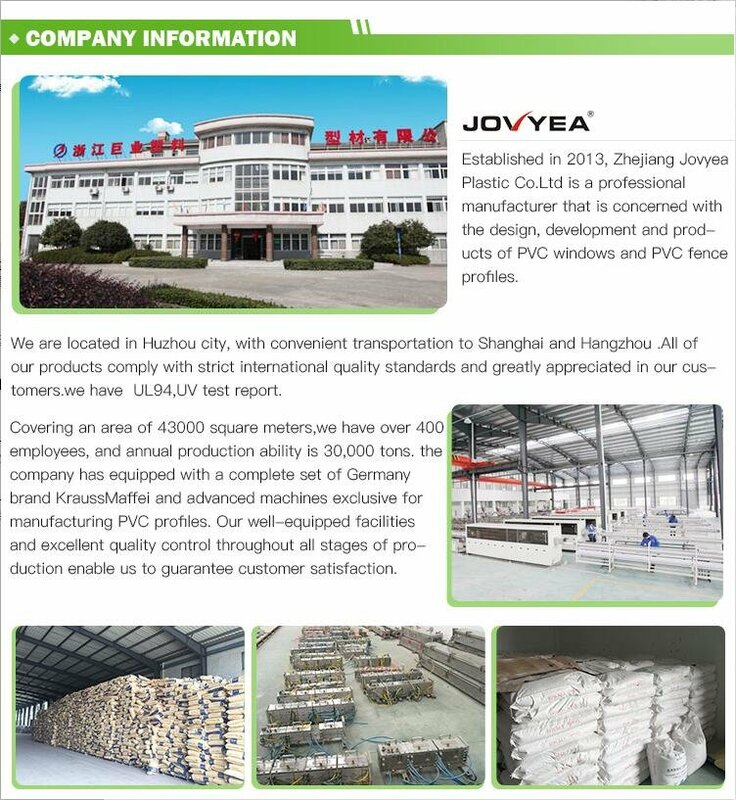 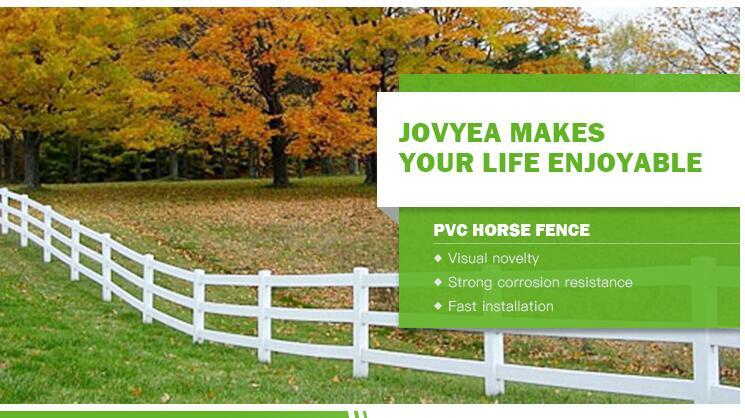 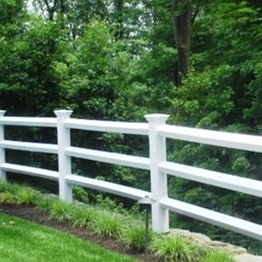 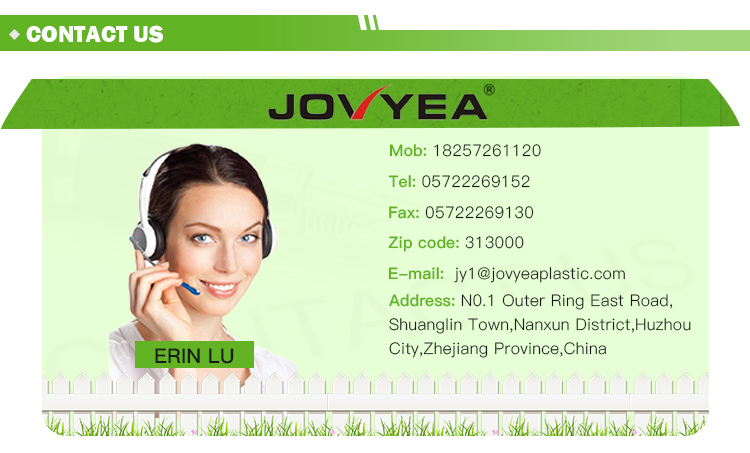 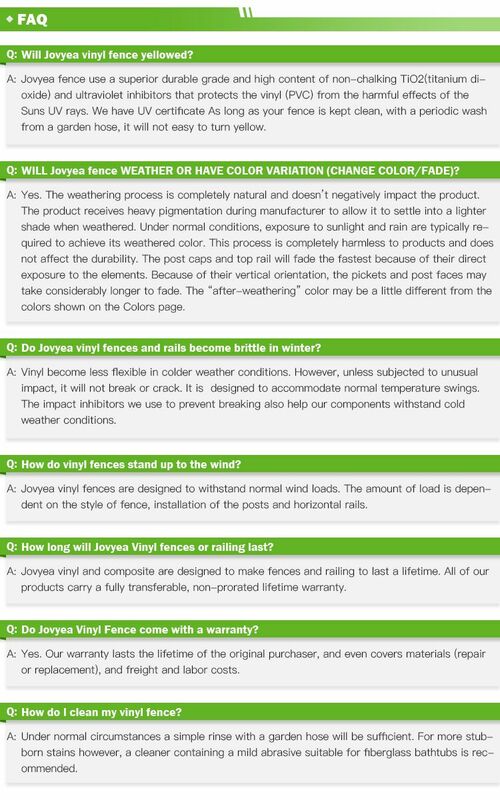 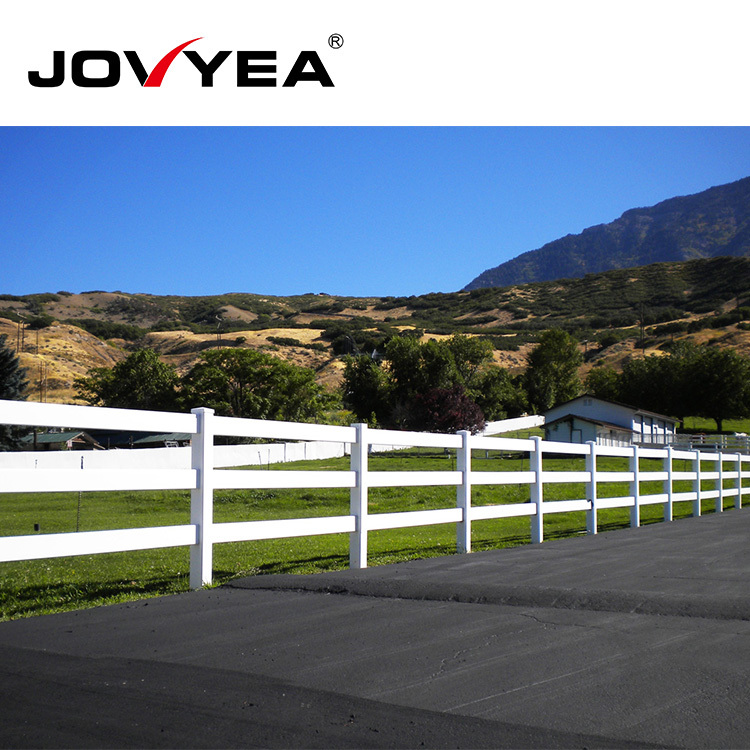 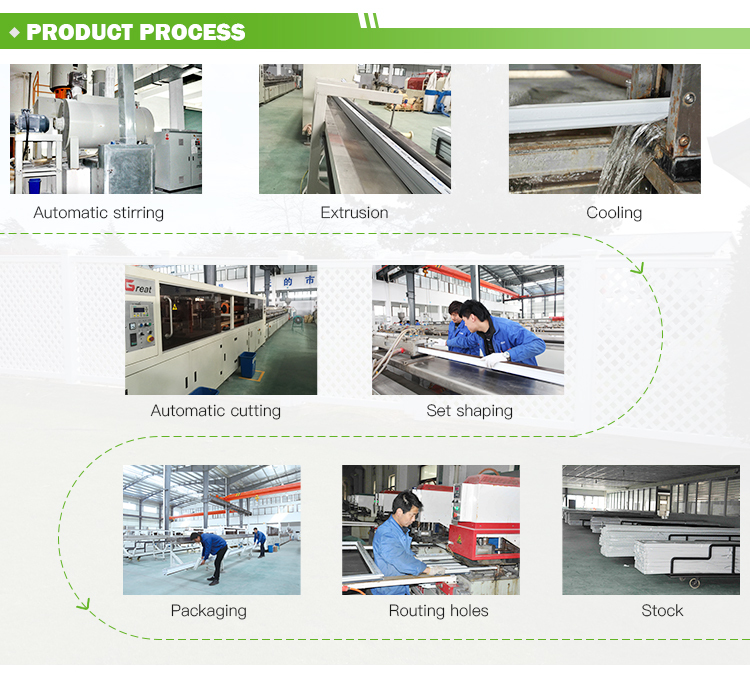 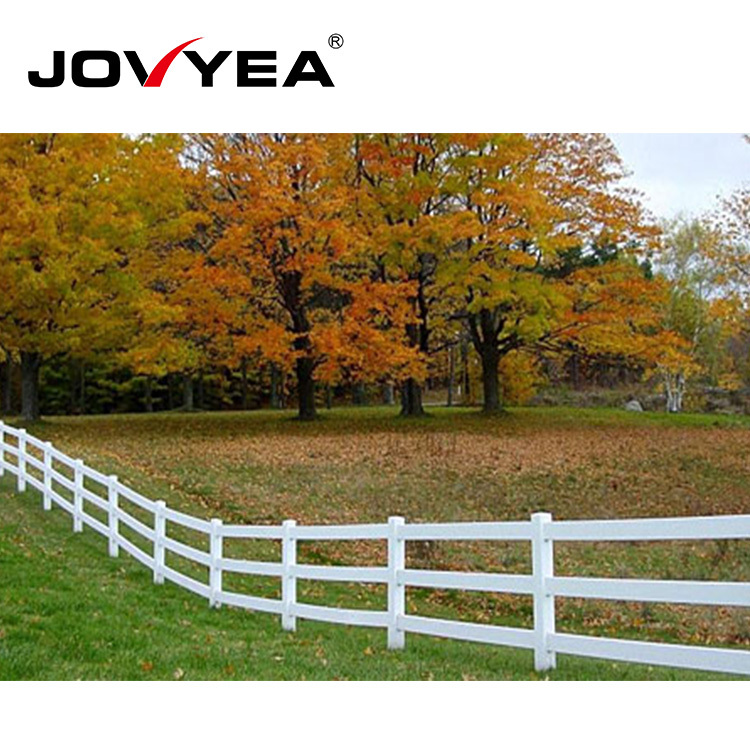 JOVYEA fence use a superior durable grade and high content of non-chalking TiO2(titanium dioxide) and ultraviolet inhibitors that protects the vinyl (PVC) from the harmful effects of the Suns UV rays.